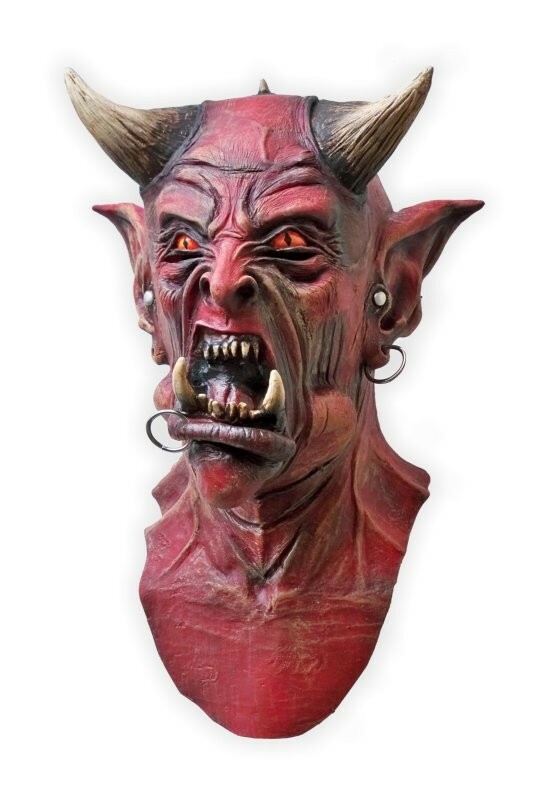 Full over the head halloween mask made from rubber latex and hand painted to great detail. The masks are easy to put on, relatively comfortable to wear and a real attention getter. There are more or less covered visions slits and openings to make breathing possible. The material is less flexible than our realistic latex masks, but holds its shape very well. The masks can be used over and over again. Overall good value for the money. One size fits most adults. This mask is not a toy, it is not recommend to be used by children. Not suitable for persons allergic to latex rubber.